Got leaves? Bounder Yard Clean Up is on the Way! Does your yard need to be cleared of leaves? 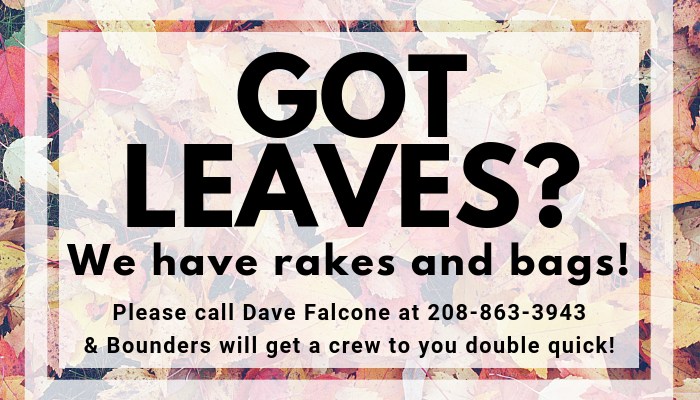 Please call Dave Falcone at 208-863-3943 or email him at dave@element242.com and he’ll get a crew out to your house double quick. Deck the Hall Community Gathering is December 2! 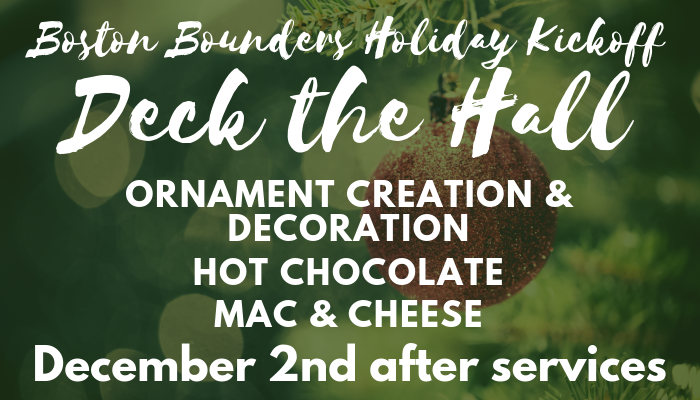 Create ornaments to decorate our BUUF Christmas tree, sip hot chocolate, and fill your tummy with mac and cheese! Join the Boston Bounders for our annual kick-off for the holiday season. 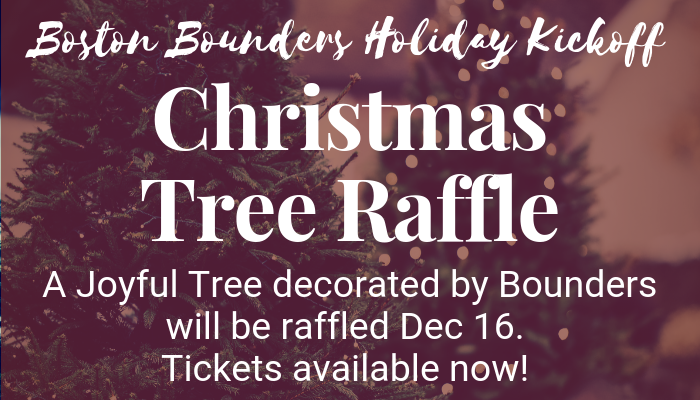 Our Bounders will be decorating a joyful tree that will be raffled off on December 16 after our holiday pageant. Tickets will be on sale starting Sunday, November 18.